cahfofpai added a comment to T8747: Putting KDE's videos to the alternative video platform PeerTube. At saturday, I got an answer by Tristan Mahe, the admin of the PeerTube instance we use. I asked Tristan Mahe (https://www.remote-shell.net/), the hoster of our instance, either he could activate the new import feature (https://framablog.org/2018/10/15/peertube-1-0-the-free-libre-and-federated-video-platform/) at this instance so we could easily import more videos from our YouTube channel. How about sharing links to our PeerTube videos instead of / in parallel to links to our YouTube videos at social media? Why was the video or a link to it not included in the KDE Applications 18.12 article? The person who uploaded the KDE Applications 18.12. video to YouTube also uploaded it to PeerTube! Thanks for it! Has somebody advertised the KDE Applications 18.12 PeerTube video (https://peertube.mastodon.host/videos/watch/2e647c42-3f96-4d08-8a6f-ca45ff9bc136)? Otherwise I could not explain how it got so many views. Just in case it is not clear why this is desirable, I think there is a point to be made by supporting free social media platforms, albeit it is not a terribly practical one. By opening accounts with the likes of Mastodon, PeerTube and Diaspora we are supporting en endorsing free, ethical projects. We are also trying to lure users away from those terribly unethical other platforms, the same way we want to lure desktop users away from Windows and macOS which dominate 98% of the desktop space. It is good for the privacy of our users (one of our core principles), as we are allowing those that are reluctant to be tracked and infected with persistent cookies to still follow what we do. I usually stop after three reasons, but here's a bonus: Not to appear to cynical, but it is a savvy PR move. I will admit this is not super-urgent though, so, if anyone wants to take on the responsibility of setting things up, get the channel started by stocking it with videos and then has no problem with handing the credentials over to whoever become the new people-with-access-to-social-media-to-be, then they should do it. They should also take into account the comment above so that, when we do have time to get on this topic, we have a tool that avoids making the process of uploading videos more cumbersome than it already is. The brand-new KDE PeerTube channel is live with it's first video, the release video of Plasma 5.13: https://peertube.mastodon.host/accounts/kde/videos https://peertube.mastodon.host/videos/watch/ae6d09f3-72ac-4afe-83fb-dbd8952587eb . I will upload the other videos during the next time. @skid Thanks for the offer, we will think about it! No problem, I also have many other things to do. How do we want to proceed with this task? Have you already looked through the instances and figured out which would be the best instance for our purposes? cahfofpai added a comment to T8901: Weather. If you search for a weather provider, I would suggest you OpenWeatherMap. Their weather data is freely licensed under CC BY-SA 4.0, they have a clean and easy to use api and they allow 60 calls per minute in the free plan. cahfofpai raised the priority of T5189: D&D improvements from Normal to Needs Triage. cahfofpai updated the task description for T8747: Putting KDE's videos to the alternative video platform PeerTube. cahfofpai updated subscribers of T8747: Putting KDE's videos to the alternative video platform PeerTube. Personally, I would prefer https://peertube.mastodon.host because they seem to render to 1080p, they have a quota of 20 GB which can be increased, they have a pronouncable and rememberable domain name and the administrator of this instance (https://mastodon.host/@gled) seems to be quite reliable. Which instance would you prefer? I have gone through all instances on https://instances.joinpeertube.org/instances and listed the best suiting in the task description. A problem could be that most instances only render the videos up to 720p and I don't know when this value will be increased. I do not have a problem in watching videos in 720p, but maybe other people have. I would give it at least a try and ask the people from FramaSoft either they want to host our videos because FramaSoft is a great organization which shares similar values like KDE, they have one of the two PeerTube instances with the most followers (78 followers) and they are quite reliable I think, so we can be sure that this instance is still running in a few years. 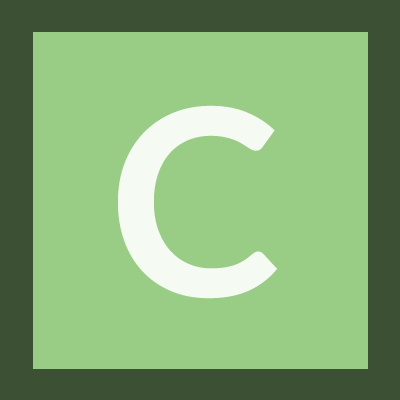 cahfofpai added a watcher for Plasma: Mobile: cahfofpai. The video with the most views on all PeerTube instances I was able to figure out has 60.000 clicks. framatube.org, the official instance of FramaSoft, has no open registration and I think I read that it is only meant for French videos about free software. Maybe they will change their mind if we would kindly ask them either they want to host KDE's videos. @paulb Maybe you should ask them for a KDE account, because you do the whole social media thing and you have a longer and much brighter KDE history than me. cahfofpai added a comment to T8745: Promoting KDE and its projects at the downtown of Vienna during Akademy 2018.
cahfofpai renamed T8747: Putting KDE's videos to the alternative video platform PeerTube from Pushing KDE's videos to alternative video platforms to Putting KDE's videos to the alternative video platform PeerTube. cahfofpai created T8747: Putting KDE's videos to the alternative video platform PeerTube. cahfofpai updated the task description for T8744: Going out to public spaces to promote KDE and its projects. cahfofpai created T8745: Promoting KDE and its projects at the downtown of Vienna during Akademy 2018.
cahfofpai renamed T8744: Going out to public spaces to promote KDE and its projects from Going out to public spaces to promote KDE and it's projects to Going out to public spaces to promote KDE and its projects. cahfofpai created T8744: Going out to public spaces to promote KDE and its projects.